So as we approach the launch of Tales of the Fallen next month let’s not forget that the first issue of the comic adpatation was released early this year to some rave reviews. Well the comic has just hit the digital shelves of the Graphicly website and you can pick up your copy for $0.99 right now! Haven’t got an ipad or a smart phone to read it on? 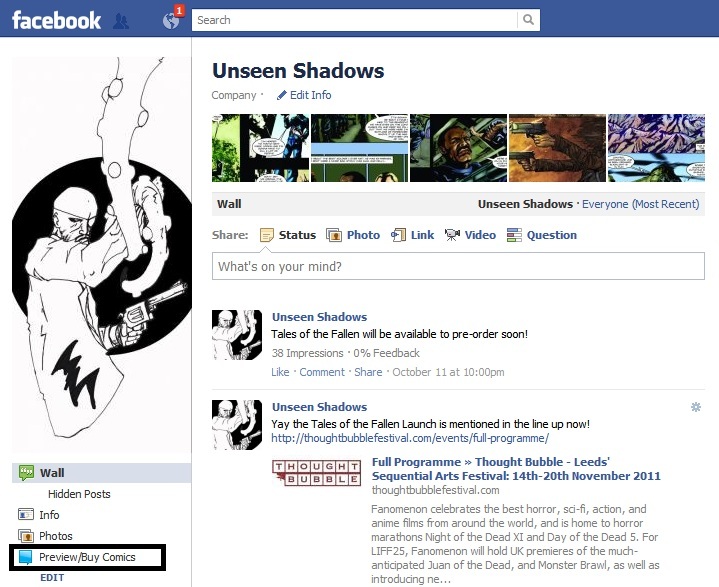 not a problem you can also buy and read the comic (and all the comics from Unseen Shadows) from our facebook page. Just look for the Preview/Buy Comics link in the navigation. So pick up Fallen Heroes issue 1 today and read it fast as issue 2 of Fallen Heroes is just around the corner! ← Band of Butchers Artist Rob Carey Nominated for ICN Award!